2 artfully decorated rooms, each with en suite and balcony over a wonderful view. Shaded terrace and sunny secret garden for quiet moments. Delicious (so I'm told) continental breakfasts change daily. 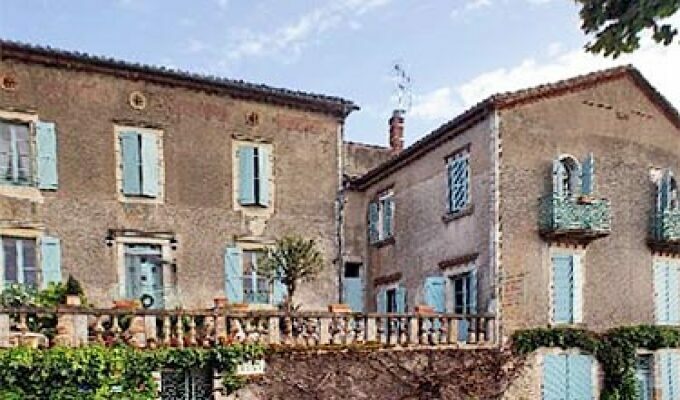 In a living village well sited for touring Bastides, visiting Cahors, Albi, Moissac as well as local markets and restaurants for the gourmet/gourmand. As seen on 4 in a bed. From the A20 exit at Cussade on to the D17. From D20 turn on to the D17 at Les Experts.